Few of us understand the money game because we are generally so focused within its constraints and on our own financial affairs that we do not see it for what it is — a game played by the elite to own and control the world. This may sound farfetched, but everyone who has delved below the surface of our money system has been shocked at what they have found, which is why the system is deliberately complicated — complication hides the simplicity and duplicity of the money game. Following is an outline of the money game and how we can stop inadvertently playing it. When we need something from someone — a product or a service — we have to give something in return of agreed equal value. This is the definition of trade — something for something. If what we give in return is a different product or service, then we have bartered. On the other hand, we can exchange a product or service for a specific commodity called money whose value is universally recognized, and which can be used as a medium of exchange. Money is absolutely essential for the smooth running of any free society, and is indeed the cornerstone of democracy. More traditionally, money was in the form of something that was perceived to be valuable in its own right, such as coins made of precious metals, tobacco or rum. This is called commodity money because it has a value in its own right which makes it much easier to get widespread acceptance. Commodity money, due to its intrinsic value, tends to hold more public confidence during troubled times when confidence in the money system is low. The other type of money is called fiat money — its value is given by decree (or fiat) from the government or banking authority. It has no intrinsic value (usually it is worthless paper, base metal or numbers on a computer screen) but it is still useful to think of it as a commodity, albeit an abstract commodity. Because this type of money is free from the constraints of an actual physical commodity, it can be controlled much more easily by the banks that issue it. Although fiat money systems are certainly nothing new, they now completely dominate the modern world. Too much money, on the other hand, and you get inflation — the money system itself devalues as there is so much of it around, making everything cost more and leading to wage-price spirals. This further releases more money into the system as people try to get rid of their saved money (which will have a diminishing value) by exchanging it for something that they perceive will hold its value better such as stocks, property, gold, silver or foreign currencies. Inflation tends to happen when governments go on a spending spree which is financed by borrowing more money from the banks. Both shortages and excesses in money supply can suffer from runaway effects, which bring society to its knees, which is why it is so important to tightly and responsibly control the money system. In a democracy, this control must be undertaken by an accountable and public organisation working in the interests of the people — i.e. the government. If the balance in money supply is just right and enough money is issued to facilitate all trade throughout society (with growth in the money supply only occurring to match population growth), then society's wealth is maximised. Under such optimum conditions, money used wisely like this can very positively transform society. If money was solely issued for the benefit of society, as it should be in any democracy, economies would be stable, nations would be evenly prosperous (without a large divide between rich and poor), and that shared prosperity would bring both national and international peace. But as is always the case with any commodity, especially one so desirable, there are those who wish to control money through their greed and lust for power. They are the money lenders. Whenever money is lent to somebody, aside from paying back the original amount borrowed, there is an additional charge to cover the risk that the lender might never be paid and for the lender's loss of use of that money. This lending fee is called interest as it represents the self-interest of the lender. When money is being borrowed from a private individual or corporation, that interest tends to be much higher as the lender charges as much as he believes he can get away with because his self-interest is paramount — unless of course he is a charity. (So destructive can the charging of interest be on a community that the Church classified it as a sin called usury right up to the end of the Middle Ages, and it still is a sin for Moslem fundamentalists.) On the other hand, when money is borrowed from a government or public organisation, interest tends to be much lower (if anything) because such organisations have a mandate to act for the collective interest, which is certainly not to fleece the citizens they supposedly represent! One of the key methods used by central banks to control the money system is by manipulating the different rates of interest within that system. Raise interest rates and borrowing becomes expensive so money is left with the banks and the money supply dwindles. If interest rates are lowered, however, borrowing is encouraged and more money is released into circulation. All today's major money systems have been created and are maintained by networks of private banks under the umbrella of central banks (such as the Federal Reserve Bank, The Bank of England and the European Central Bank) which hide behind a smokescreen of pseudo public accountability and responsibility. Part of the reason it got this way was because of our original use of commodity money — commodities such as gold tend to be privately owned as most of the mining companies are private. When the system changed to fiat money, these wealthy and powerful money lenders (much more wealthy than governments) made sure they were a central part of the new equation by any means at their disposal. In the words of James Madison, "History records that the money changers have used every form of abuse, intrigue, deceit, and violent means possible to maintain their control over governments by controlling money and its issuance." A classic example of this deceit was the undemocratic manner in which President Woodrow Wilson railroaded through the Federal Reserve Act of 1913, bringing America in line with the European private banking systems. He was later to write: "I am a most unhappy man. I have unwittingly ruined my country. A great industrial nation is controlled by its system of credit. Our system of credit is concentrated. The growth of the nation, therefore, and all our activities are in the hands of a few men. We have come to be one of the worst ruled, one of the most completely controlled and dominated Governments in the civilized world no longer a Government by free opinion, no longer a Government by conviction and the vote of the majority, but a Government by the opinion and duress of a small group of dominant men." All modern countries now have a system in which private banks lend to the governments the money they need. For this service they charge interest. This means that we have a debt-based money system as all our money is issued as the nation's debt to these banks. As with any private lender, the interest is maximised, siphoning huge amounts of wealth from ordinary citizens into the hands of a few fabulously rich men and women. After the interest has been paid, the system is set up to further squander the nation's wealth in tax-breaks for and huge subsidies to big business, including the arms and pharmaceutical industries. Is it any wonder that most nations, including the United States and the Third World, have spiraling debt, despite large increases in productivity over the past few decades? And this growing national debt, of course, further increases our tax burden as we are the ones who ultimately have to foot the bills for the interest. Even with all the trillions of dollars sloshing around the system, poverty even in First World countries has been increasing since the early 1970s, and that the value of wages has been dropping. We cannot continue as slaves to credit if we wish to live as free men and women. To maintain control of the money supply and to further maximise profits, the banking system allows banks to lend out up to ten times their actual assets and then charge interest on this imaginary money. This piece of deception, calledfractional reserve banking, allows the banking system to royally rip off the people with the interest it makes from this imaginary money. So your bank lends you 1000 dollars of which 900 are just figures on a computer screen. You work hard to repay the loan plus, say, 200 dollars in interest. The bank has therefore made 200 dollars out of effectively just its 100 dollar initial investment. Not a bad return — this scam is profitable! Fractional reserve banking serves three functions: as we have seen, it is outrageously profitable; it allows the private banks to cope with credit demand using only a tenth of their money, thus maintaining their position as the official money lenders; and it makes the money system much easier to manipulate. Putting private banking institutions at the heart of today's national and international money systems is like having the head of the Mafia as the Chief of Police — there is a massive conflict of interests. These private banks do everything they can in order to maximise their own profits, regardless of the morality or ethics of their actions.The most successful technique the banks use to increase their assets and their power is to deliberately expand and contract the money supply. An increasing money supply encourages loans, and then by suddenly contracting it, you drive the people into defaulting on those loans, allowing you to help yourself to their land, their house and everything they own. A good example of this is the Great Depression of the early 1930s in the United States. During the 20s, the Federal Reserve Bank substantially increased the money supply to create what has been described as "the roaring twenties". Using the stock market crash of 29 as a cover, it then rapidly contracted the money supply in the early 30s (the very opposite of what should have been done to remedy the situation). This forced many poor Americans, including thousands of small-time farmers, to default on their bank loans, allowing the banks to help themselves to these people's hard-earned property. The banks made a killing whilst the people starved. This was clearly not in the interest of the people but it was done anyway because private banks were (and still are) in control. Thomas Jefferson saw this danger nearly two hundred years ago when he wrote:"If the American people ever allow private banks to control the issue of their currency, first by inflation, then by deflation, the banks…will deprive the people of all property until their children wake-up homeless on the continent their fathers conquered." This is exactly what has happened in throughout the world today and is the reason why we are all so steeped in debt — especially the Third World. We are all increasingly enslaved by the interest on our credit, allowing a few incredibly wealthy bankers to effectively rule the world, sparking a war here, a depression or famine over there to maximise profits. The money game, played by the money lenders today, is the primary reason for the economic turbulence of the modern era. And in playing it, these banking institutions continually try to extend their control by unifying monetary systems such as that which is undemocratically currently being railroaded through in fascist Europe. It would not be an exaggeration to say that that Armageddon will not be fought like a normal battle: it will not be between Arabs and Jews, or between Americans and Chinese; rather, it will be between those that wish to bind us by controlling our money supply and those that place freedom from such control as a basic requirement for a life worth living and are therefore prepared to fight for freedom. If we lose that battle, only darkness and destruction lay ahead as humanity becomes increasingly snared in the control of greedy men and women. The solution, of course, is not to stop using or avoid money; as was mentioned in the first paragraph of this article, money systems are a central component to freedom and democracy. The solution is to stop playing the money lenders' game and wrestle back control of our money system. We need to both understand the money system and to implement certain practical steps to immunise ourselves from financial slavery. Psychologically, it is important that we all, especially Americans, start thinking of money as a commodity and NOT a miraculous substance that can be created out of nothing by hard work and genius (only God and bankers have that power). This dangerous ideology of spontaneous creation is especially espoused by New Age and business motivation circles, and it serves only to blind us to the money scam that is being played all around us. We are all interconnected, and what may be wild profits for some is a loss for others or to society in general. By retaining a perception of money, fiat money included, as a commodity, period — one that facilitates trade by effectively storing value — we become mindful of money flow in society. Only with that mindfulness can we become financially ethical. With this outlook, one is also less likely to be bamboozled by bankers' complex explanations as to why the average person is now getting poorer (the peak in standard of living was reached in 1974 and it has been downhill ever since) when trade is increasing, and where all our tax dollars are going. Instead, we start asking whose pocket all this wealth is ending up in! Armed with a better understanding of money, we can then take the practical steps. First and foremost, we must extract ourselves from debt as best we can. It is absolutely essential that we minimize the control that the banks have over our finances. The problem is that bank loans, taxes (which are also bank loans) and court fees can only be repaid with the same type of debt-based money these banks issue, for this is how these bankers have locked us in to using their corrupt money system. However, we can reduce this burden considerably by first reducing our direct debts with the banks. The second practical thing we need to do is to start using alternative interest-free money systems (such as LETS). Traditionally these were the eccentric barter-type systems used by hippies and radicals, but now they have developed into sophisticated and extremely efficient trading systems extensively and successfully used by ordinary people. Usually they harness the power of the computer and the internet, allowing for a very functional and extensive system to operate, and they suffer from none of the exploitative, socially destructive and wealth-draining interest problems that debt-based money systems suffer. Also, they allow us to considerably reduce our tax burden by giving our productivity and time directly to other members of our community rather than to paying our crippling taxes and mortgages. The result is communities that flourish because so much more of the people's wealth and industry is recycled. The system becomes efficient as money siphoning is reduced; everybody benefits, except the money lenders. Once a community has tried an alternative money-based system, there is NO going back to old systems because of the huge positive effect that occurs within a very short period. As we become part of communities again, we start caring, not just about each other, but about the environment. People who use alternative money systems invariably become more ecologically conscious because these systems encourage each person to feel a part of a community, a part of something much bigger — a strand in the web of life. That perspective brings with it responsibility, and the cult of excessive individualism and selfishness is gladly broken. When our governments see that the people are refusing to play the money lender's game, are giving to each other rather than to a foolish government in the hands of the money lenders, they will be democratically forced to implement new official money systems (if they are going to get any more tax out of us!) that will bring total control of money back into the hands of the people where it should have been in the first place. Bill Still points out in his excellent video, The Money Masters, that this can be achieved very easily by having the government issue its own currency, which is of course approved for the payment of tax and court fees. This immediately breaks the monopoly of the private banking system. The dishonest practice of fractional reserve banking can be rapidly phased out by increasing the new money supply in step with increasing the reserve requirement until it is 100% - essential for a fair system. After all, fractional reserve banking is a fundamental dishonesty, and no democracy can ever thrive on such a diseased foundation. By having governments produce and control the money, we no longer have a debt based system, and the new economy that results would be far more stable because it would genuinely be run in the interests of the people. It would, therefore, not be open to the same manipulation that besets our current system; there would be far less opportunity for the few to underhandedly siphon off money from the masses, and this would reduce the gap between rich and poor — a prerequisite for a more peaceful and harmonious society. The tax burden would be significantly reduced as the whole system is more efficient, and as there would be less national and international political manipulation by bankers for profit (read: less wars), the ridiculous defence budgets could be slashed and money spent on important things like stopping ecological destruction and developing greener technologies. Some people believe that the solution is to return to proper commodity money such as gold. Very often we hear radicals clamouring for the return of the gold standard. Whilst this has some merit — gold currencies are more resilient to collapse — we must not forget that the great depressions of the early 20th centuries occurred with money backed by the gold standard. With over three quarters of all the gold in the world in the hands of the banks (70% alone with the IMF), any money system based on this precious metal would still be open to considerable manipulation and control by these private banks. Just to get enough gold to set up the system in the first place would mean buying back gold from the money lenders, and you can be sure that they would sky-rocket the price when they realize what is happening, and then, when everything is running smoothly, collapse the price and reap the rewards of another depression. We cannot let them play the money game any longer. It is much better to start afresh and have the government issue new fiat money to replace the old banking money. "The Government should create, issue, and circulate all the currency and credits needed to satisfy the spending power of the Government and the buying power of consumers. By the adoption of these principles, the taxpayers will be saved immense sums of interest. 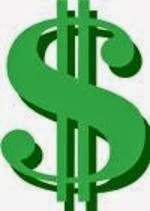 Money will cease to be master and become the servant of humanity." Alternative Money Systems — Good introduction to some of the new money systems that are currently used. Local And Interest-Free Currencies — You don't get better than the great list of links on this page. FAQ on the LETS system — Twenty answers to the most common questions asked on this particular alternative payment system. LETSystem Home Page — Everything you need to set up your own LETS system. LETS.net — Online service for Local Exchange Trading Systems worldwide. LETS Link UK — One of the best UK LETS resource sites. Has some great regional listings. John Turmel's Site — The Canadian radical who makes fantastic sense! Transaction Net — Alternative payment systems on and offline. Global Currency of World Peace — Home of Guru Maharishi's alternative currency called the RAAM. Recently, Holland officially legalized it. Eco-Village Resources — Fantastic links for everything to do with the LETS system and how to set it up, including software for running it on the internet. Benefits of a Barter Based Economy.